Seymour's is one of the Uk's most longstanding luxury "Home" firms, offering anything from bed and bath linens, duvet and pillows, soaps, candles and fragrance diffusers to fabrics, wallpapers, plantation shutters and blinds, all from the world's most sought after brands. Homes Direct 365 is based in Middlesbrough in the North East of England, specialising in stylish furniture, mirrors and lighting. We are based solely online and therefore unfortunately do not have a showroom. Our philosophy is that your home should reflect your own individual style and aspirations. Whether dining, relaxing or sleeping, the timeless furniture designs you will see in this online store will enhance your environment to give you years of pleasure. Our sales team are highly trained, experienced and dedicated staff who wish to look after our customers every step of the way, from any queries you may have prior to your purchase through to an excellent after sales service. At Homes Direct 365 we're passionate that everyone should have access to high quality french furniture. We're here to make your life easier; our website helps you to quickly find what you're looking for. Our range of products includes shabby chic furniture, french furniture, bedroom, dining, bathroom furniture, mirrors and lighting and much much more. Us here at Period House Store are nationwide distributors of Cast Iron Radiators, Oak & Limestone Flooring, Period Door Furniture, Period Lighting, Period Bathrooms, Hand Built Kitchens, Stoves & Fireplaces, Oak Doors, Electrical Fittings and Little Greene Paint. We have extensive showrooms in Richmond, North Yorkshire and an excellent website at www.periodhousestore.co.uk where you can purchase items on-line for nationwide delivery. We also ship worldwide. Charltons Furniture has been focused on developing and suppling quality functional wooden furniture for the dining and livingroom. Charltons Furniture are able to offer a range of differenet paint finishes and timber finishes allowing the consumer to customize the look of the prodcut to help them acheive the home they want. With spray facilities in the UK we are able to offer a product that fits the look. Established in 2015, We manufacture handmade furniture and wood goods that are made to last. Located just outside Thirsk, North Yorkshire we cover all surrounding towns and villages from Harrogate to York and in everywhere between. We offer other a range of services. From Free standing furniture, Built in furniture to shop fitting/fittings. All our work is carried out to high standards. Every item is bespoke to some degree. We make a wide range of furniture, homewares and of which can be customised to bespoke measurements to suit the customer or buisness. We work closely with individuals and other local business' to create high quality bespoke items. At Johnny Moustache we offer our own collection of contemporary mid century inspired upholstered furniture, which is handcrafted in the UK. We also specialise in the restoration and re-upholstery of vintage sofas and chairs of which we can supply, and provide a bespoke service for each piece. A little bit about Around The House Furniture I love interiors and furniture and pretty things so I decided to start my own online store... easy right? If only! I source the furniture, price it, market it, organise deliveries, develop the website, manage customer emails, do the accounts - the whole lot. People may ask why I put myself through the stress but its' the passion and burning desire to put out a collection of beautiful furniture for my customers. To give them that overwhelming feeling of excitement and happiness when a new mirror gets hung on the wall, or a new dining table is set and used for the first time. People can underestimate the worth of living in a home you love and are proud to show off, it uplifts your mood when you walk into a room and think, wow this is all mine! It sounds cheesy but as a first time home owner who's just renovated an entire house, I've felt that feeling more than a few times myself this year, I look round and I can't believe what me and my partner have achieved through hard work in the past year. We took the house back to a shell and there's been times when I've looked and thought, what have we done!? But now it's all finished I have a beautiful home i'm so proud to call ours, and we love to have friends over to share it with. So really this brand is an extension of me, a part of my life than i've turned into a business. I support the local and independent retailers, the women who are doing it for themselves because I don't have ambitions of opening 100 stores across the country. I like keeping it smaller so I can get to know my customers and them to know me, because really i'm just an average girl who loves fancy furniture! Welcome to Little Arrivals – where we specialise in affordable luxury nursery furniture for babies and children. The Oak Folk design and make personalised oak gifts and accessories for your home. These oak gifts and accessories not only look great but have a practical everyday use. All of our quality oak and slate products have the option of additional engraving to add the personal touch for that special gift. These are beautiful natural products which will stand the test of time. 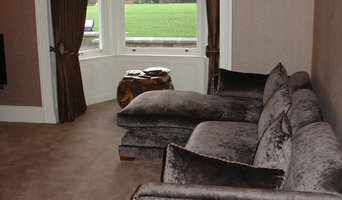 Why should I use a Yarm, North Yorkshire furniture designer or home accessories professional? Think about what pieces you need or what your vision for the overall look of the room is. Do you have very specific ideas for what furniture you’d like or do you just know the colour palette or the basic type of furnishings and accessories you want? If you have very specific ideas it could be an option to look at Yarm, North Yorkshire bespoke furniture designers and makers. They will work with you to produce one-of-a-kind pieces to make your ideas come to life. Otherwise, it’s a fantastic idea to hire a Yarm, North Yorkshire home furnisher to help you choose furniture and accessories to work with your interiors. Professionals with years of experience will have a great eye for picking out the right pieces based on your brief and your room design, saving you the time and stress of hunting down the pieces yourself. However, when not constrained by time, some homeowners can really enjoy the furniture hunting process. 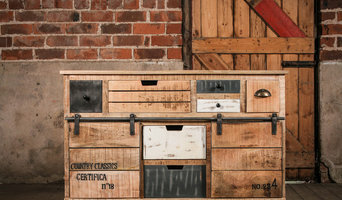 Tracking down unique or vintage home furnishings from furniture manufacturers, retailers, car boot sales, showrooms, auctions and home furnishing stores in Yarm, North Yorkshire can be a real thrill, especially when you find exactly what you were looking for or perhaps something completely unexpected but brilliant nonetheless! If your budget can’t stretch to bespoke, designer or professional-picked pieces, this is also the best and most convenient option. Try browsing through the collections from a furniture manufacturer to see if they have any styles you like, or scour secondhand furniture shops and auction houses if you’re after something with a history. It’s not all about the furniture, though. Your home accessories can provide the finishing touches to any room in the house. Table lamps, plants, cushions, rugs, candles, ornaments, artwork and picture frames are just a few of the accessories you can use to round off the style of your room and add personal touches. It’s easy to find ideas for these smaller furnishings with plenty of Yarm, North Yorkshire home furnishing stores and their products listed, as well as the furniture designers, manufacturers and makers. Find Yarm, North Yorkshire furniture designers and accessories manufacturers, showrooms and suppliers on Houzz. Narrow your search in the Professionals section of the website to Yarm, North Yorkshire furniture and accessories, then choose the nearest area for showrooms and retailers. Or you may want to look through Yarm photos to find furniture designs you like and contact the furniture manufacturers and showrooms directly.